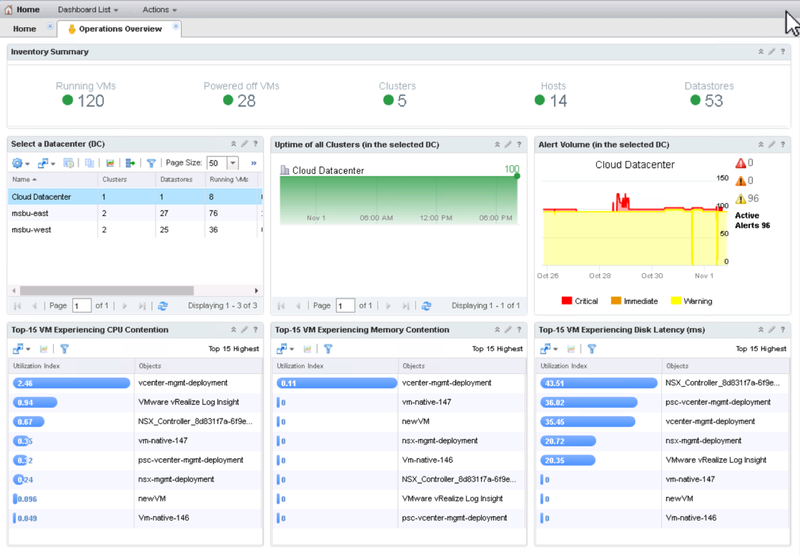 VMware vROps - What's new in vROps 6.4? 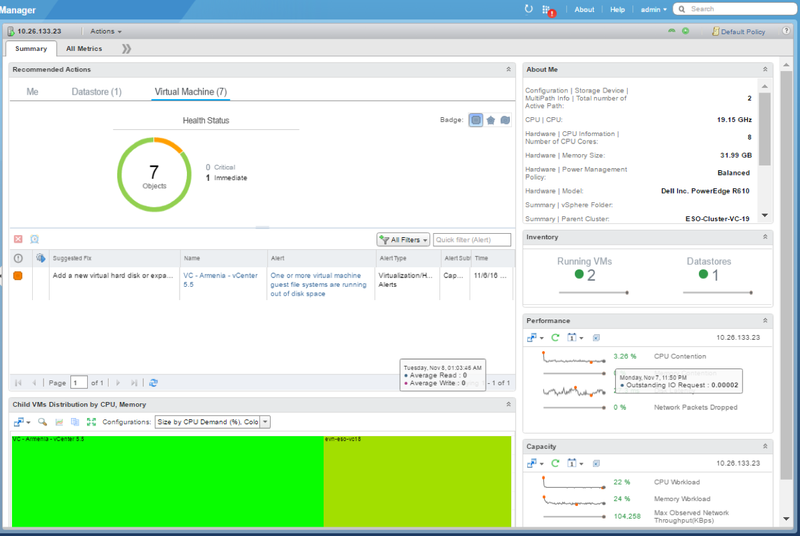 VMware announced the release of vRealize Operations Manager (vROps) 6.4. 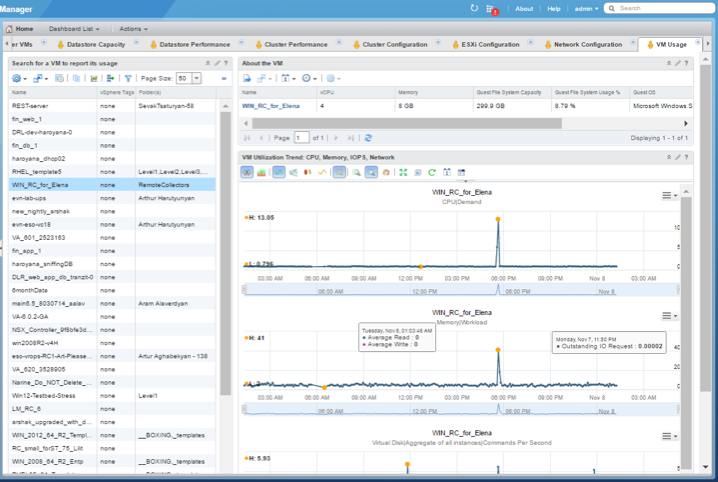 This update includes the usual stability and usability improvements along with support for vSphere 6.5, as well as introduction of Predictive DRS (pDRS) for Workload Placement (WLP). 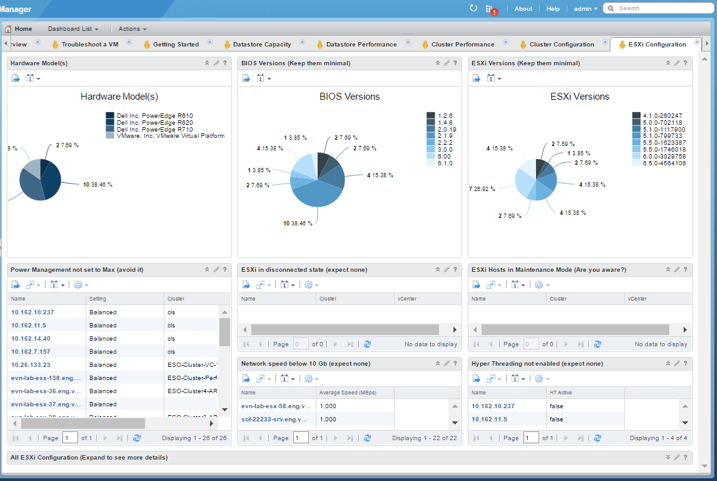 pDRS is in technical preview until vROps 6.5 is released in 17Q1. 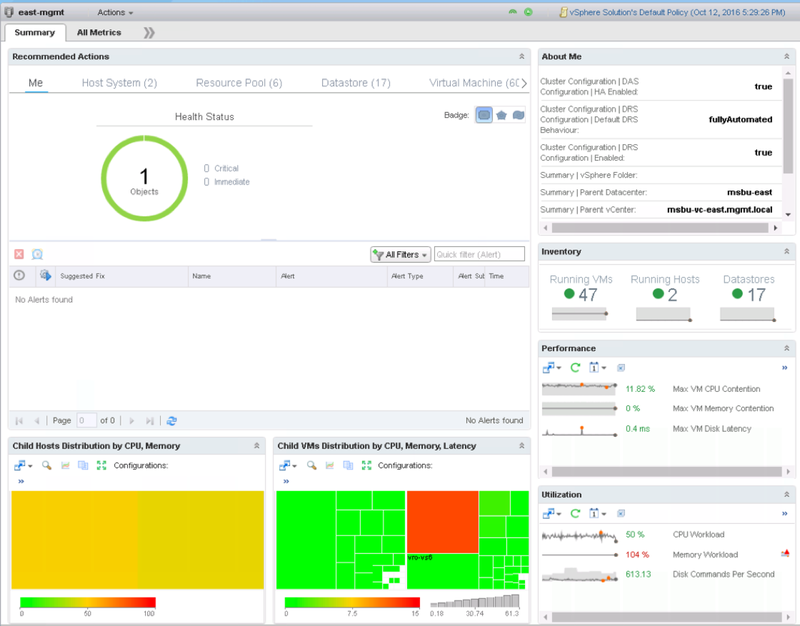 On top of that, just like vROps 6.3 before it, vROps 6.4 comes with more new Custom Dashboards OOTB. So without further adieu, let's take a closer look at all the goodies. 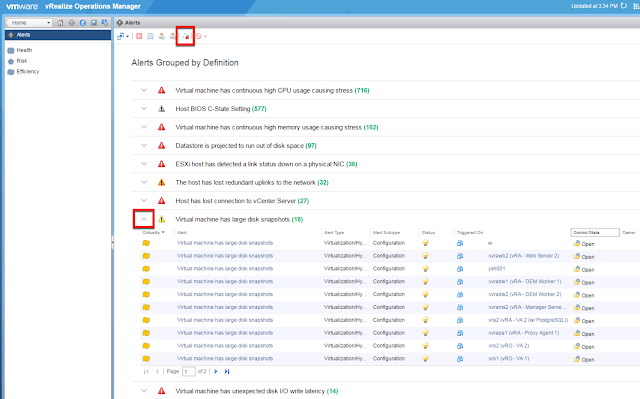 This release of vROps provides an easy way to group related alerts by Alert Definitions. 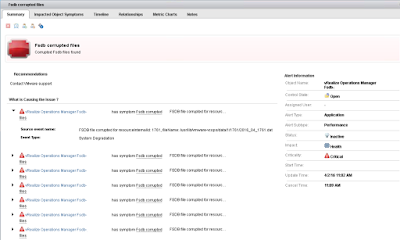 This makes it much easier to have an idea of what types of alerts exist and how many objects are impacted. 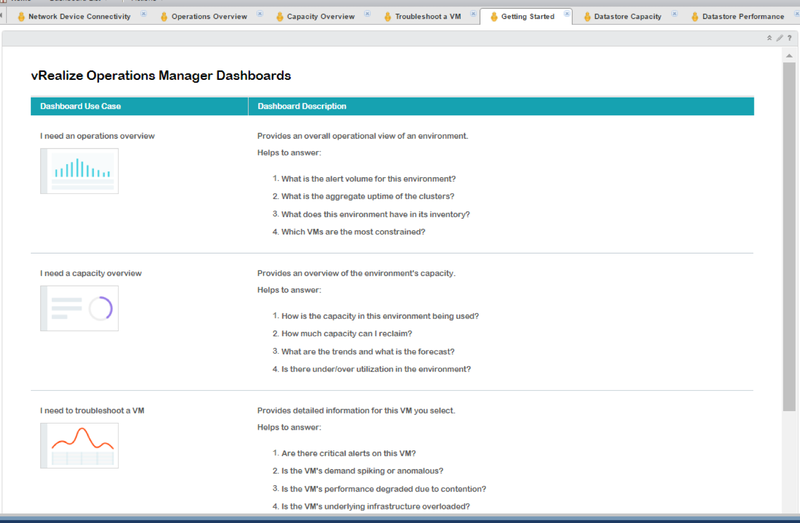 Not to mention it makes the interface look much less cluttered and easier to get a handle on your alerts. 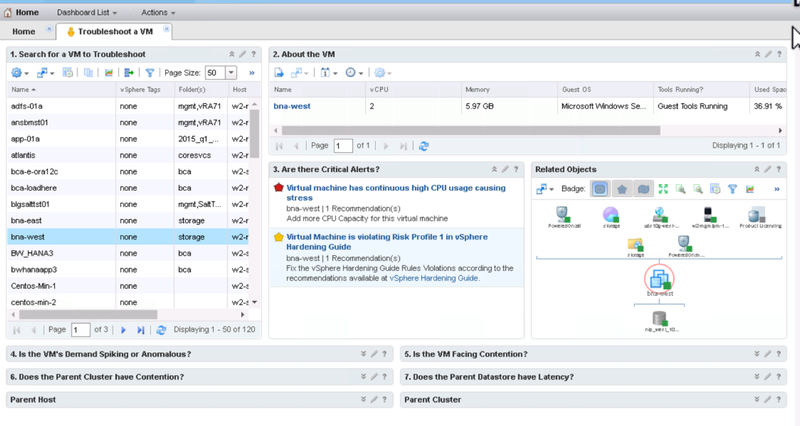 This is a much cleaner look that will allow you to focus on important alerts. 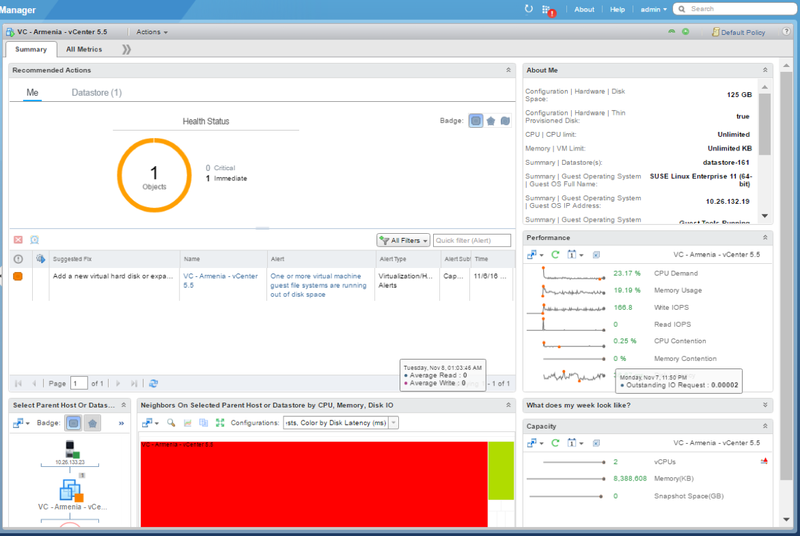 Now you can disable unwanted alerts right from the Alerts view rather than having to go to Policies, which is much more convenient. 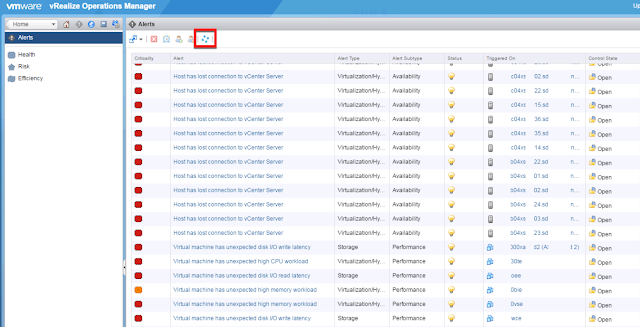 vROps finally supports vSphere VM Folders. 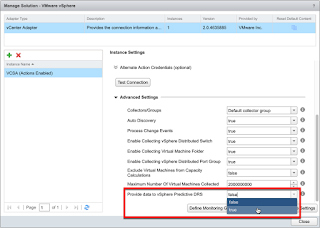 This not only allows browsing just like in vSphere Web Client, but also enables creation of Super Metrics around VMs contained in the folders. I have a white paper about this coming out in 17Q1, so stay tuned. 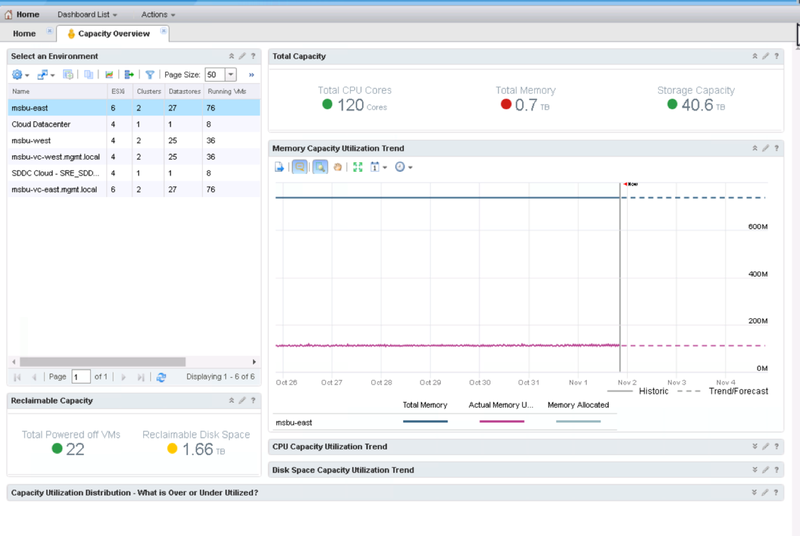 This new dashboard provides a nice summary of inventory numbers, alert volume, and top offenders in CPU and Memory Contention, as well as Disk Latency. 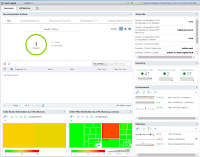 Like vROps 6.3 before it, vROps 6.4 ships with many new dashboards OOTB. 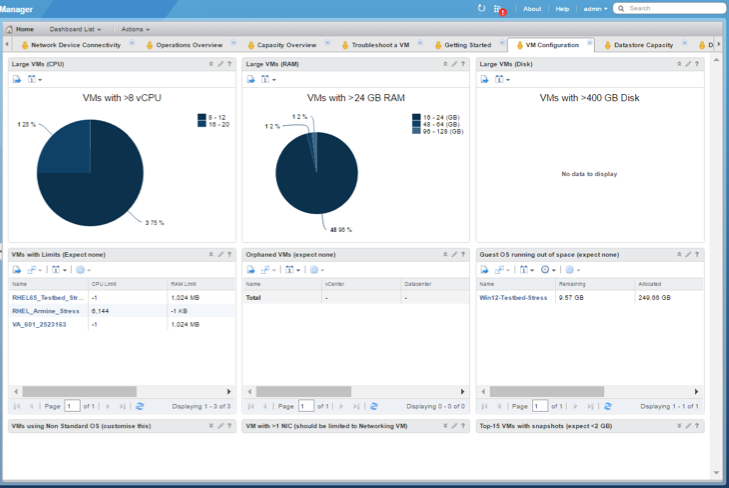 vROps 6.4 introduces a new Summary tab for major Object Types such as vSphere Host, Cluster, Datastore, and Virtual Machine. 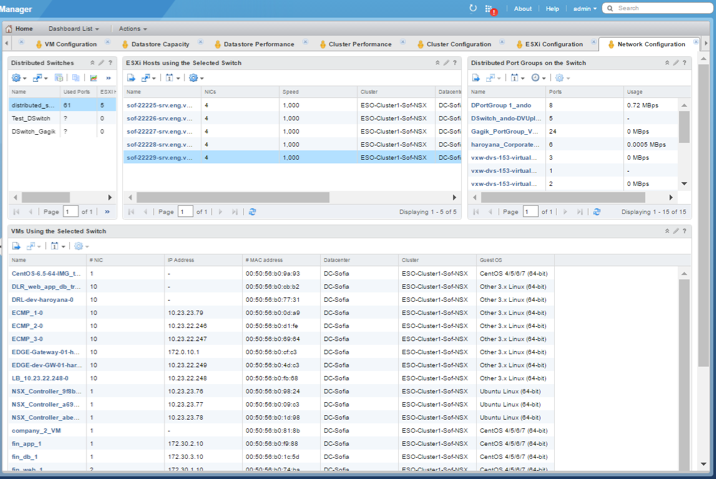 The new summary tabs provide a great overview of the object's status and performance. Metric groups provide a great way to get to some of the most frequently used metrics in a Metric Picker. This makes it easier to get some frequently used metrics into the charts. 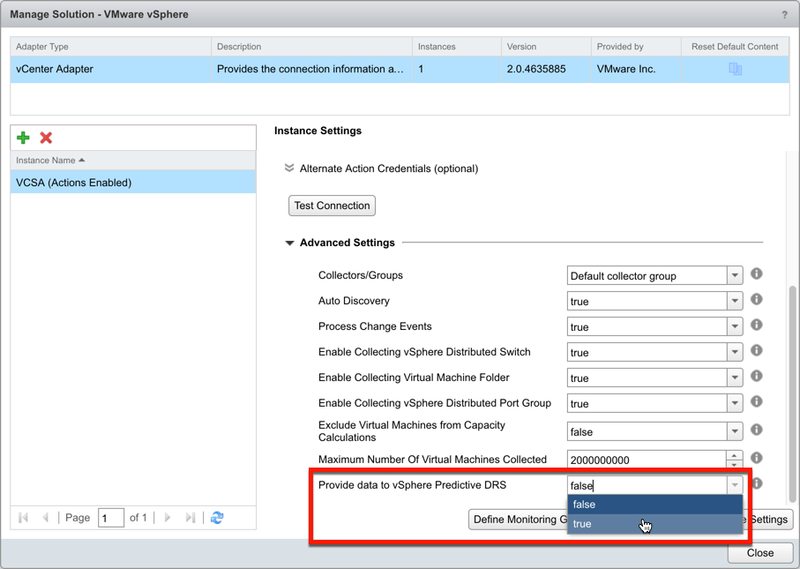 Now let's talk about the hottest feature in vROps 6.4: Predictive DRS for Workload Placement/Balancing. 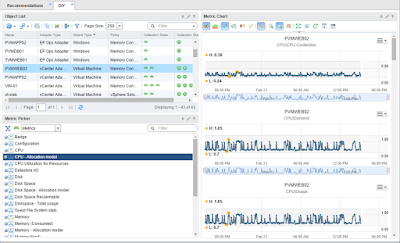 Between vROps and DRS, you will now have three different approaches to address VM contention at your disposal: reactive, balance, and predictive. 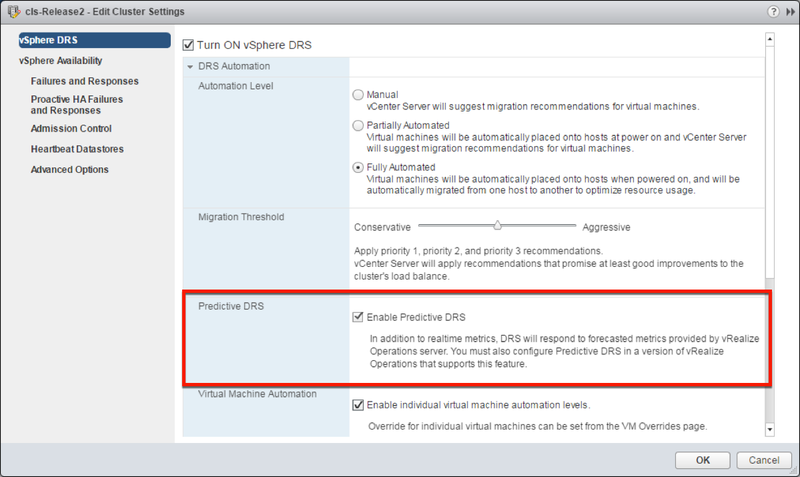 The tried and true vSphere DRS method works to resolve unexpected demand for resources by only moving VMs that must be moved when contention starts, without the need for vROps. 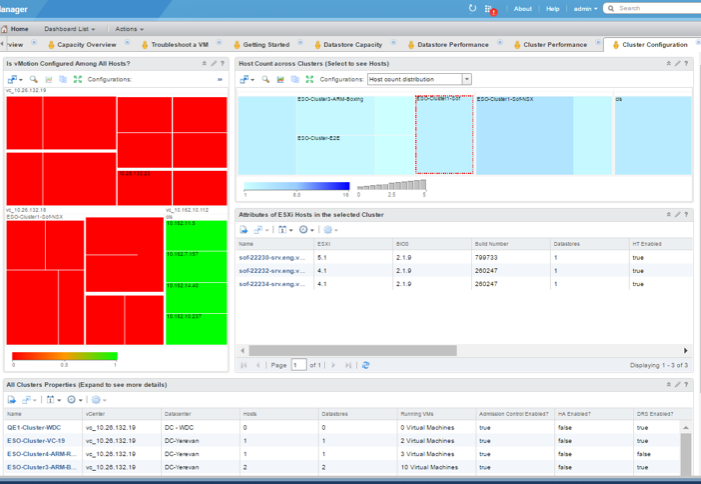 vROps Workload Placement can balance VMs across hosts and clusters to minimize risk and prevent hot spots. 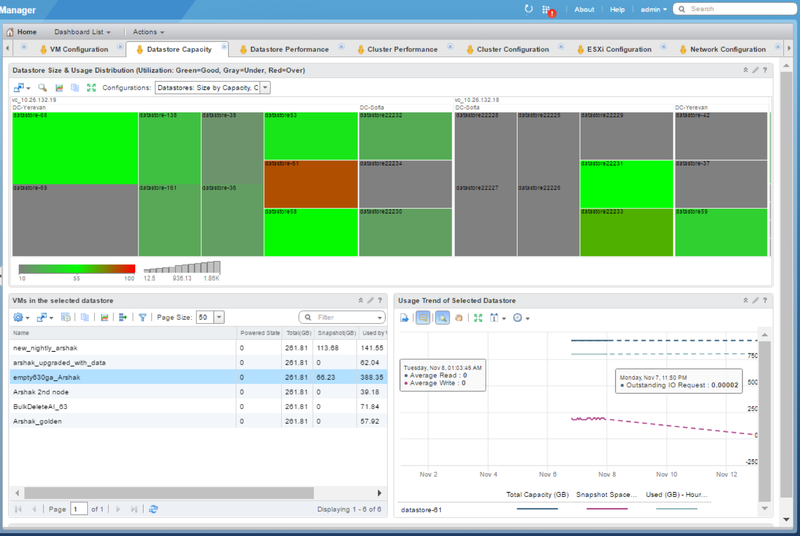 However, the new predictive feature forecasts demand for resources and only moves VMs that should be moved before contention starts. 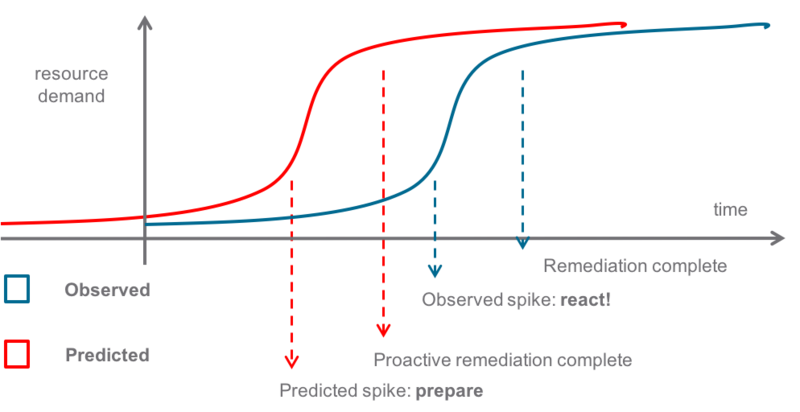 This in turn allows DRS to proactively optimize the cluster before increase in demand is expected. 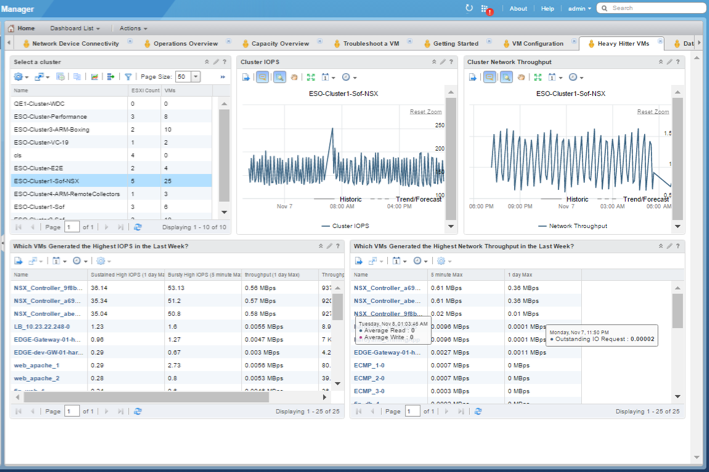 By collecting and analysing historical data, vROps has good empirical evidence of how a VM might behave in future. This is accomplished by calculating Dynamic Thresholds (DTs) nightly (9pm). A DT is simply a forecast of a pattern for future behavior that includes both ceiling and floor values. Once calculated, this data is sent to DRS each morning (6am). 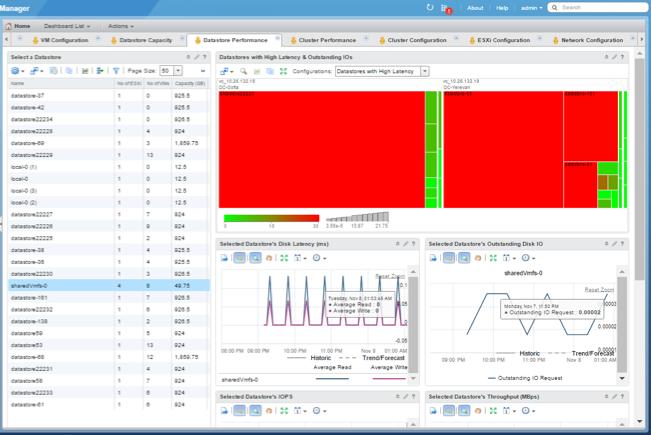 This payload includes 24 hours worth of DT data points based on CPU Active and Non Zero Active Memory metrics. 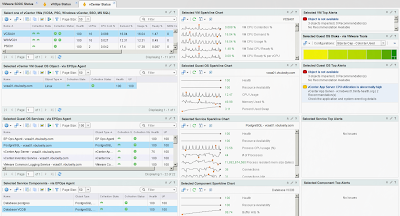 DRS then uses this to make a decision not only on current statistics but also information it received from vROps. 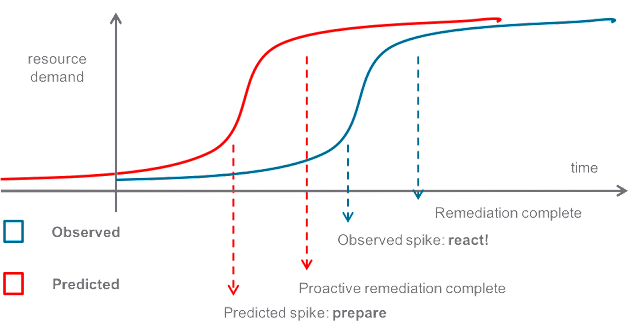 Current stats will always take priority in order to resolve any already occurring contention. 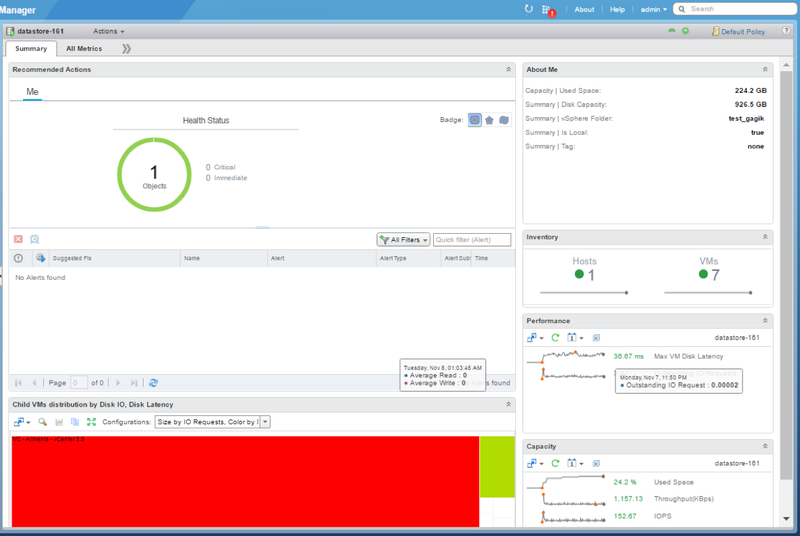 pDRS requires vSphere 6.5 and vROps 6.4 or later and must be enabled on both vROps and each vSphere Cluster. Keep in mind that pDRS is a tech preview feature for now so it supports a limited cluster size until the next release. 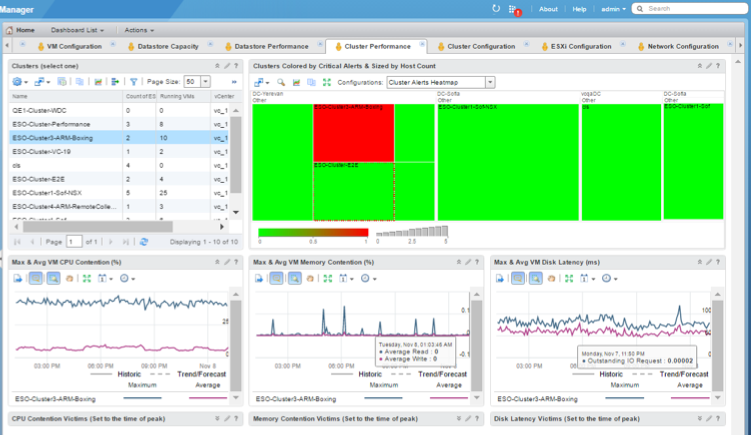 Speaking of DRS and "Advanced Cool Settings", I would like to also point you to a great blog post by about Load Balancing vSphere Clusters with DRS by Matthew Mayer that will help you open your eyes about a certain other product in the marketplace.